Megan’s passion for the arts has pushed her to pursue her dream to work within the design industry. 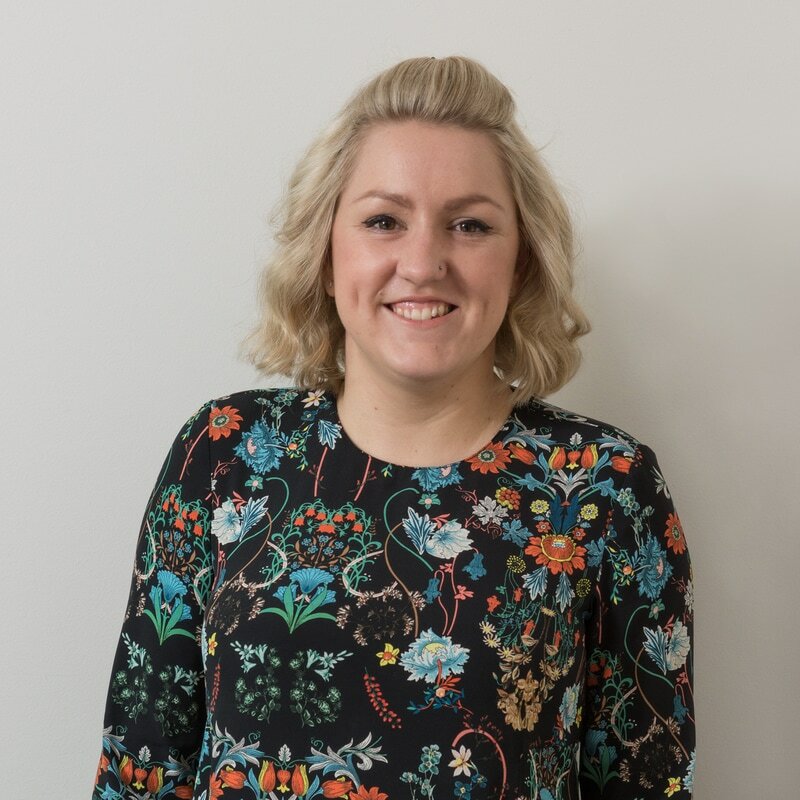 She had a keen interest in interior textiles so began her creative journey at Stourbridge College completing a foundation degree in Art and Design. Here Megan discovered a real passion for print design having the opportunity to experiment with screen and digital processes. Megan went on to study Printed Textiles and Surface Pattern Design at Leeds Arts University where continued her creative path. Here Megan was able to explore further with different methods of print such as heat transfer, colour mixing and screen printing then combining these processes with digital technology enhancing her final project. Inspired by botanical shape and texture Megan manipulates hand painted impressions through digital media to create beautiful layered patterns of print. Megan now has a job as designer at the Woven Edge where she is able to be create traditional designs with a modern twist for a contemporary market. Taking colour and print inspiration from up and coming trends Megan is able to translate her research into beautiful design. When away from a studio environment Megan enjoys being out with friends, continuing her creative flare, attending music festivals and local events.